Revered as the first national park in the United States of America and often believed to be the first national park in the world, Yellowstone, a UNESCO World Heritage Site, protects approximately 3,472 square miles of nature’s best creations. 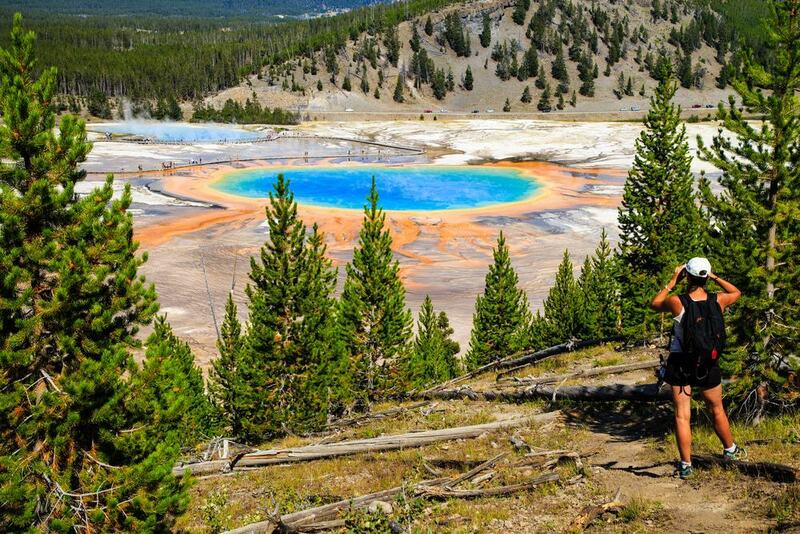 With half of the world’s geothermal features and one of the largest ecosystems on the planet, the park spreads across the states of Wyoming, Idaho, and Montana. In existence since 1872, Yellowstone National Park is coined after the namesake river that flows through it and has the highest congregation of mammals in the lower 48 states. With over 4 million visitors in 2017, Yellowstone is among the top 5 most visited national parks in the world. Visitors to Yellowstone National Park could stay at one of the lodges within the park, however, these places fill up fast and need to be booked far in advance. Additionally, only two of Yellowstone lodges, namely Old Faithful Snow Lodge and the Mammoth Hotel, operate during the winters. Having said that, there are several nearby towns which provide easy access to the National Park as well as brilliant accommodation facilities. We’ve found some of the nearest towns to Yellowstone National Park so you can decide where to stay with easy access. But first, let’s round up those accommodation options within the grounds of the park itself. Declared in 1872 by President Ulysses S. Grant as the first ever National Park in the world, Yellowstone National Park is a unique experience that everyone must enjoy once in their lifetime. Sitting at the core of the Greater Yellowstone Ecosystem, the Park is home to over 67 different species of mammals, 330 species of birds, and 1,350 species of vascular plants. When here, explore the countless lakes, hot springs, geysers, and forests that call Yellowstone their home. Whether you are a wildlife photographer in search of the perfect shot or an adventure-junkie wanting to hike, fish, ski, or accompany a park ranger in deeper exploration of the vast area, Yellowstone has something for everyone. Other Highlights: Yellowstone Lake, Fishing Bridge, Mud Volcano, Natural Bridge, West Thumb Geyser Basin, Red Mountains, and Norris Geyser Basin. Old Faithful Inn – The largest log structure in the world, Old Faithful Inn is not just the most sought-after lodging facility within Yellowstone but also a national historic landmark. Constructed in 1904 out of logs and stones, the property features well-appointed rooms and suites and an enormous fireplace in the lobby. Featuring 327 rooms and a hand-crafted clock built out of copper, wrought iron, and wood, Old Faithful remains open for visitors from early May till mid-October each year. Perfect for all kinds of travelers. Mammoth Hot Springs Hotel & Cabins – One of the only two accommodation options to stay open to visitors throughout the year, Mammoth Hot Springs Hotel & Cabins is set on the grounds of former Fort Yellowstone. A stone’s throw away from the namesake hot springs, the property houses one-room suites to budget guestrooms and cabins equipped with comfy beds, private bathrooms, and hot tubs (in selected cabins). Suitable for all kinds of travelers. Old Faithful Snow Lodge & Cabins – The second lodging option within Yellowstone National Park to remain open during the winter months, Old Faithful Snow Lodge & Cabins is among the latest full-service hotels within the park. A remarkable example of classic “parkitecture,” the Snow Lodge is made out of timber, logs, and cedar wood. Accommodation options within the property include well-furnished guestrooms and stylish cabins. Guests can enjoy the on-site full-service dining area, a grill, and a gift store. Great for all kinds of travelers. Lake Yellowstone Hotel & Cabins – Open only between the months of May and October, Lake Yellowstone Hotel & Cabins prides itself in being a designated National Historic Landmark. Fitted with elegant white columns, the Sun Room offers enchanting views of Yellowstone Lake, add to that the soothing sounds of a string quartet and you have perfect tranquility. Guests can choose to stay at cabins, premium rooms, or general and presidential suites. Common facilities here include free valet service, telephone, wired internet access, and access to Lake Hotel Business Center. Perfect for all kinds of travelers. Canyon Lodge & Cabins – With over 500 rooms and cabins, Canyon Lodge & Cabins is the largest sustainable lodging facility within Yellowstone National Park. Operational from June till October, the property is located close to Yellowstone River’s Grand Canyon. Accommodation option includes standard and superior lodge rooms, suites, and western cabins equipped with private bathrooms and modern furnishings. Guests can chill out at the dining lounge or enjoy the view of the surroundings from the patio. Great for all kinds of travelers. Grant Village – Established in 1984, the property has been named after President Ulysses S. Grant as an honor of him being the one to declare Yellowstone as the world’s first National Park in 1872. Comprising six two-story structures with 50 rooms in each, Grant Village is situated near the West Thumb of Yellowstone Lake. Within close proximity of Grand Teton National Park, the lodge features standard and premium lodge rooms with the latest amenities, a lounge area, a full-service restaurant, a gift store, and a casual diner with captivating views of the lake. Suitable for all kinds of travelers. Lake Lodge Cabins – If enthralling views of Yellowstone Lake and the surrounding landscape is on the itinerary, head straight to Lake Lodge Cabins – imagine a huge veranda with rocking chairs to enjoy views of all that natural beauty surrounding the premises. Guests can choose to stay at Frontier, Pioneer, and Western Cabins. The main lodge, however, with its classic log construction, a lounge, and two fireplaces is the star attraction of the property. An on-site gift store takes care of all your souvenir shopping needs. Lake Lodge Cabins are operational from early June till the end of September. Perfect for all kinds of travelers. Old Faithful Lodge Cabins – Located near Old Faithful Inn, Old Faithful Lodge Cabins is a one-story lodging property built in the 1920s. Constructed mainly out of stone pillar and logs, the property features astonishing views of the Old Faithful Geyser. Accommodation options includes Frontier Cabins (with private bathroom) and standard Historic Cabins (without a private bathroom). Guests staying at the latter cabins can use the nearby communal showers. The main lobby comprises a cafeteria-style food court and a snack shop. AC, TV, and radios aren’t available within the premises. Suitable for all kinds of travelers. Roosevelt Lodge & Cabins – Built in the 1920s, Roosevelt Lodge & Cabins are located near Tower Falls area within Yellowstone National Park. Named after a nearby campsite made famous by President Theodore Roosevelt, the lodging facility offers rustic cabins, family-style dining, and an opportunity to awaken your “Old West Spirit.” Frequented by families and fishermen, the property features a charming front veranda with rocking chairs, horseback trail rides, and their famous Old West Dinner Cookout, where guests can enjoy steaks and friendly conversations. Frontier Cabins include two comfy double beds and a private bathroom whereas Roughrider Cabins offer a more countryside vibe with one or two beds, a wood burning stove to keep the cabin heated, and a communal shower nearby. Great for all kinds of travelers. 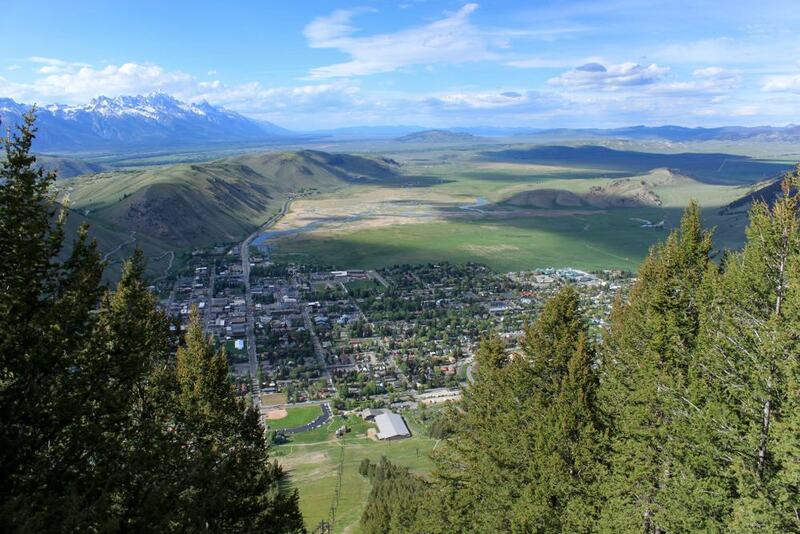 The most prominent entry point to Yellowstone National Park as well as Grand Teton National Park, Jackson is a beautiful town set in the heart of Jackson Hole Valley. One of the most picturesque and modern towns, Jackson gives you access to two amazing places for the price of one. Travelers wishing to visit Yellowstone drive through the pristine lakes, wildflower fields, and rocky peaks of Grand Teton and find themselves amidst the ethereal landscape of the former. Many celebrities maintain stunning holiday homes in this town. A significant ski town, Jackson transforms into a ski haven during winters. Snow King and Jackson Hole are two such ski resorts that are flocked to by tourists during the ski season. However, do take time to explore the striking arches at the four corners of the Town Square, built from several hundred elk antlers. Other Highlights: National Elk Refuge, National Museum of Wildlife Art, George Washington Memorial Park, Virginian RV Park, Jackson Hole Children’s Museum, and Grand Teton Gallery. Rustic Inn Creekside – Bringing luxury to a whole different level, Rustic Inn Creekside is an opulent hotel and spa known for its larger-than-life features and services. Guests choose to stay at one of their palatial rooms, private cabins, or lavish spa suites. After starting their day with a wonderful complimentary breakfast, they can head to visit Yellowstone National Park for the day. At the end of the tiring day, guests may choose one of the many massages and treatments at the in-house 2,300-square foot spa or a brilliant wining-and-dining experience at the on-site restaurant and bar. Perfect for all kinds of travelers. The Alpine House – This eco-friendly hotel set in the lively Jackson Hole Town Square provides well-appointed guestrooms with state-of-the-art facilities along with a complimentary breakfast buffet and free Wi-Fi. Guests at the property can enjoy freshly-brewed beer and organic wines at the on-site bar. A spa treatment at the hotel’s spa will bring some much-needed rejuvenation after spending the day exploring the National Park. Most guestrooms here include cable TV, private bathroom, and a fireplace. Suitable for solo travelers, couples, and small families. Homewood Suites by Hilton Jackson – A short walk away from the historic Town Square, this elegant hotel features wonderfully decorated guestrooms with amenities such as flat-screen TV with satellite channels, fireplace, kitchenette, dining area, ensuite bathroom, and spectacular views of the city or the surrounding mountains. A free shuttle service to Teton Village and a complimentary breakfast is provided by the hotel daily. Great for all kinds of travelers. Located closer to the east side of Yellowstone National Park, Cody, a city in Northwest Wyoming, has been named after Colonel William Frederick “Buffalo Bill” Cody who played a major role in the restoration of the town. Essentially, the area has a cowboy-like feel and is known to rest of the country for its nightly rodeo that takes place during summer. 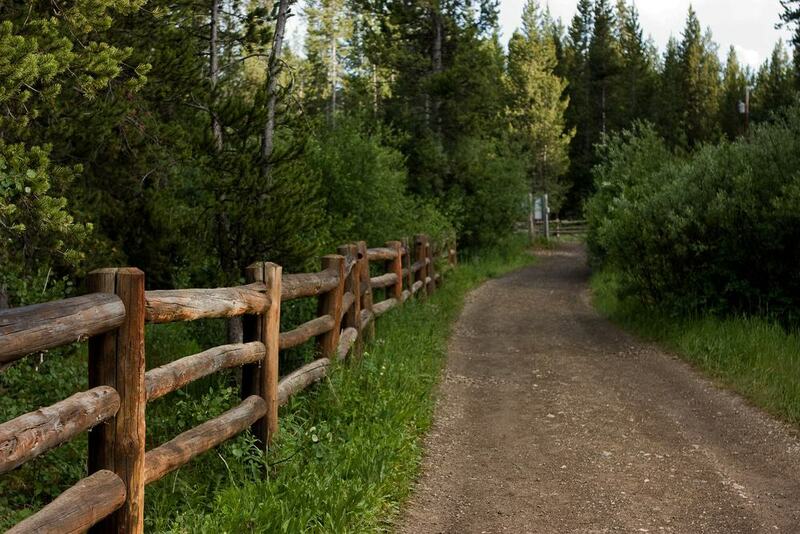 One of the jumping points for Yellowstone, Cody offers amazing hiking opportunities. For something even more fun, travelers can try horseback riding and authentic ranching experiences at one of the many ranches around the town. Old Trail Town, a nearby attraction, offers visitors a chance to explore a recreated historic town that exhibits relics and collectibles from ghost-towns that date back to the 1800s. Other Highlights: Cody Dug Up Gun Museum, Cody Night Rodeo, City Park, Buffalo Bill Center of the West, and Grand Teton National Park. The Cody – Offering free airport shuttle, an indoor pool, a well-equipped gym, and free Wi-Fi in public areas, the Cody is within a kilometer of Cody Old Trail Town and Cody Rodeo Ground. Guestrooms at the property feature comfy double beds, flat-screen TV with cable channels and DVD player, safety deposit box, and ensuite bathroom with free toiletries. A complimentary breakfast is served daily. Great for solo travelers, couples, and small families. Americinn Cody-Yellowstone – Featuring a huge lobby with exotic big game décor, this splendid hotel features comfortable guestrooms with the latest facilities. Guests can start the day with a refreshing dip in the indoor pool followed by an optional hot breakfast and then spend the rest of the day exploring the wonderful town. Perfect for all kinds of travelers, including big groups of up to 5 members. Yellowstone House of the Three Bears – Boasting enormous self-catering houses just a few kilometers from Yellowstone Regional Airport, the property offers grand facilities such as barbecue, kitchenette with all necessary utilities, outdoor furniture, washing machine, dining area, and free private parking. Yellowstone House of the Three Bears is a 5 minute walk from historic Cody’s main street. Suitable for big groups of up to 10 members. A short drive from Yellowstone National Park’s West Entrance, Island Park is a small town in Idaho with just a few hundred residents. But, before you decide to strike it off as just another access town to Yellowstone, make a note of Island Park’s 36.8-mile Main Street which is regarded as the largest of its kind in the world. Plus, a volcanic eruption in the area two million years ago that emitted ash 2,500 times more than Mount St. Helens in 1980 resulted in the formation of Island Park Caldera, one of the largest in the world. To experience more scenic landscapes, try canoeing the 5-mile water trail at Henry’s Fork. Other Highlights: Harriman State Park and Wildlife Refuge, Henrys Lake State Park, Island Park Dam, and Johnny Sack’s cabin. Timbers at Island Park – Best suited for sports and adventure lovers, Timbers as Island Park features tennis courts and a 9-hole golf course and can help guests in arranging skiing and cycling tours. Others could chill out at the outdoor pavilion and enjoy barbecues. Each fully-furnished apartment includes a kitchenette, cable TV, and a gas fireplace. Great for all families and big groups of up to 6 members. Eagle Ridge Ranch – Set amidst an authentic old west cattle ranch, Eagle Ridge Ranch features charming cottages furnished with western-inspired furnishings, kitchenette, patio, barbecue, and TV with satellite channels and DVD Player. The helpful staff at the property can help guests arrange for horseback riding, snowmobiling, fishing, and ice fishing, depending upon the season. Suitable for all kinds of travelers. 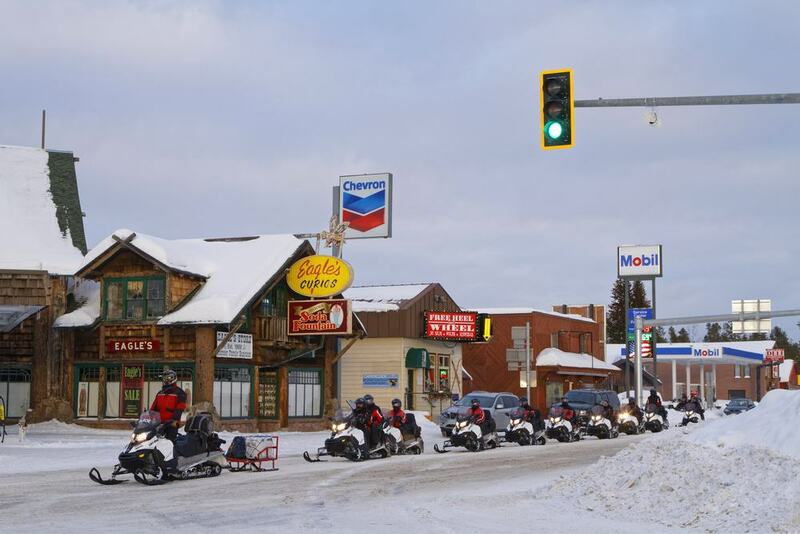 West Yellowstone is a rustic mountain town situated only one mile from Yellowstone National Park and the town’s airport makes it the best option for visitors wanting quick and easy access by flight. Being so close to the National Park, the mountain town is one of the most sought-after areas to stay for travelers visiting Yellowstone. The town center comprises several stores, restaurants, museums, and tourist businesses and is extremely easy to walk around. Yellowstone Museum, a prominent attraction in the town, is dedicated to the history of the National Park and the tourist train service to the area. 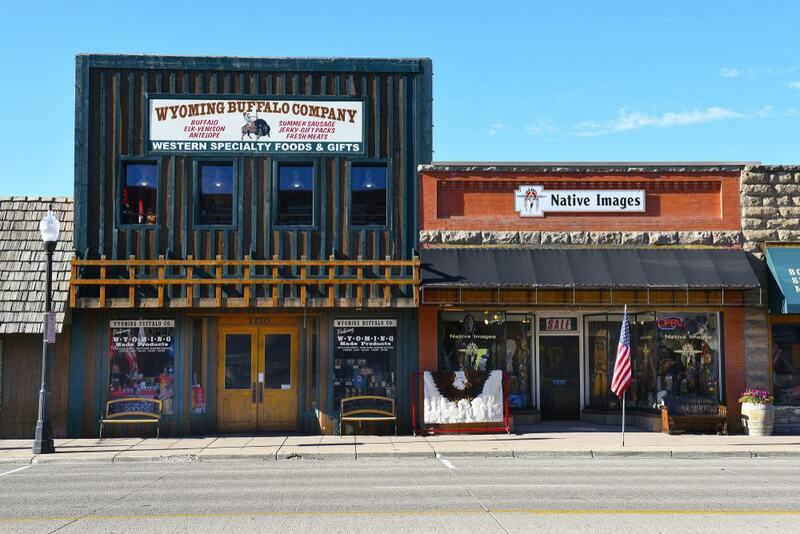 West Yellowstone, with its many souvenir shops, is also a great place for shopping. Other Highlights: Grizzly & Wolf Discovery Center, IMAX – West Yellowstone, West Yellowstone Ski Education Foundation, and West Yellowstone Heritage Park. Days Inn West Yellowstone – Situated within a couple of kilometers from the west entrance of Yellowstone National Park, Days Inn West Yellowstone provides well-decorated guestrooms with comfy beds, free Wi-Fi and private bathroom with a bath or shower. Guests can enjoy meals at the on-site restaurant and make use of the free shuttle service to explore the town. Great for all kinds of travelers. Kelly Inn West Yellowstone – Just a short walk from Grizzly & Wolf Discovery Center, Key Inn West Yellowstone features fully-equipped guestrooms with tea/coffee maker, refrigerator, TV with satellite channels, microwave, and private bathroom with free toiletries. Guests can revitalize themselves at the indoor pool and hot tub. A complimentary buffet breakfast is served daily. Suitable for all kinds of travelers, including big groups of 6 members. Holiday Inn West Yellowstone – Within a short distance from Museum of the Yellowstone, Holiday Inn West Yellowstone provides free shuttle service to and from the West Yellowstone Airport. The neutrally-colored rooms include modern furnishings and a handy workspace. The pet-friendly hotel also offers an on-site gym, an indoor pool and hot tub, a delightful restaurant and bar, and a casino with video poker and Keno. Perfect for all kinds of travelers. A postcard-perfect town nestled in the heart of Rocky Mountains, Bozeman is coined after John M. Bozeman, the man accredited as the founder of the Bozeman Trail. 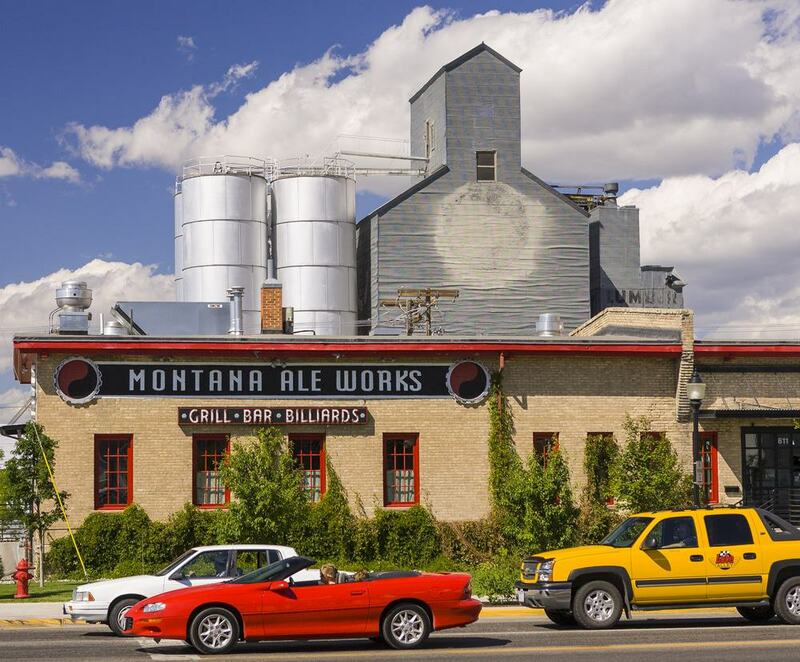 Home to the Montana State University, Bozeman has been ranked among the top college towns in the United States. Neighbored by mountains on three sides and two National Forests, the town is one of the wettest in Montana. Museum of the Rockies, an affiliate of the Montana State University and the Smithsonian Institution, is known to house the largest collection of dinosaur fossils in the country, including the largest Tyrannosaurus skull ever found. Gallatin History Museum, on the other hand, is dedicated to the Native American history of the area. Other Highlights: American Computer & Robotics Museum, Children’s Museum of Bozeman, Gallatin County Regional Park, Peets Hill/Burke Park, and East Gallatin Recreation Area. The LARK – Located in the city center of Bozeman, the LARK features modern accommodation with air-conditioning, flat-screen TV, and free Wi-Fi. Guests will also find a 24-hour front desk, valet parking, and luggage storage at the property. Gallatin Valley Mall and Montana State University is only a short drive from the hotel. Suitable for all kinds of travelers. Lehrkind Mansion Bed & Breakfast – Set in a Queen Anne Mansion from 1897, this fascinating bed and breakfast features spacious guestrooms and suites with latest facilities. Guests start their day with a complimentary full English breakfast and then proceed to explore the library and two parlors filled with Victorian relics. Perfect for solo travelers and couples. SpringHill Suites by Marriott Bozeman – Boasting a spa and wellness center, an indoor pool, and a state-of-the-art fitness center, SpringHill Suites by Marriott Bozeman features lavish guestrooms with top facilities. The hotel’s in-house restaurant serves American delicacies while the helpful reception staff can guide the guests with local tips about the neighborhood. A complimentary buffet breakfast is served daily. Great for all kinds of travelers, including big groups of up to 5 members. 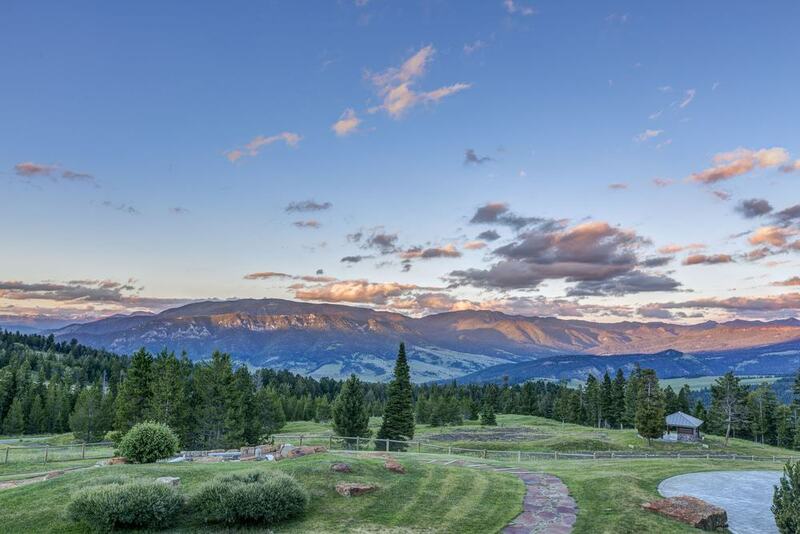 Famous as one of the most popular ski resort towns in the country, Big Sky was once just a regular ranch until it was transformed into a ski hill and resort destination by TV broadcaster Chet Huntley in the 1970s. Despite its long claim to fame, the mountain resort remains largely uncrowded. Big Sky Resort, along with Moonlight Basin which is now managed by Big Sky Resort as well, pride themselves in offering the “Biggest Skiing in America”. Gallatin River and its canyon are a favorite among kayakers, fly-fishers, and white-water rafters from around the world. For wildlife lovers, a visit to the Gallatin National Forest brings an opportunity to spot waterfowl, elk, wolves, as well as grizzlies. Other Highlights: Ousel Falls Park, Beehive Basin Trailhead, Storm Castle Peak Trailhead, Garnet Mountain Fire Lookout, and Spanish Peaks. The Lodge at Big Sky – Featuring luxurious rooms with a spectacular view of the mountains or valleys in selected rooms, the Lodge at Big Sky offers free shuttles to Big Sky Resort Ski Lifts, on-site dining and refreshing cocktails, and an indoor pool. Guests can unwind themselves in the common room featuring a huge fireplace and stay in shape at the in-house fitness center. A complimentary continental breakfast is served daily. Perfect for all kinds of travelers, including big groups of up to 6 members. Big Sky Resort Village Center – Set within Big Sky Mountain Village Ski Resort, this classy property features an on-site outdoor pool, ski-to-door access, a hot tub, a seasonal Tuscan restaurant, and spa and massage services on request. The spacious, well-appointed studios are fitted with air-conditioning, free Wi-Fi, cable TV, fireplace, and a seating area. An exceptional breakfast is served daily free of cost. Great for couples and small families. Summit Hotel at Big Sky Resort – An hour’s drive from Yellowstone National Park entrance, this affluent resort property features stylish rooms, studios, and apartments fitted with dark wood furnishing, cable TV, fully-equipped kitchen (in apartments only), and ensuite bathroom with free toiletries. A complimentary breakfast is served daily. Suitable for all kinds of travelers, including big groups of up to 6 members.